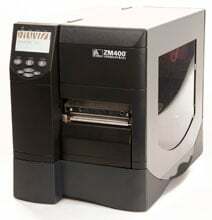 Zebra Technologies Corporation, a global leader in specialty printing and automatic identification solutions, announces the Xi4 Tabletop Printer Series, an all-metal line that offers rugged durability, outstanding print quality, fast print speed, long life and unparalleled reliability. The Zebra Xi4 Series is designed for applications with high duty cycles in harsh environments and improves on Zebra’s previous line of XiIIIPlus™ tabletop printers. 110Xi4: Zebra’s flagship printer, the 110Xi4 now delivers faster 14 ips print speeds and is designed for applications with high duty cycles in harsh environments. 140Xi4: The faster, durable, and reliable, 140Xi4 combines a 14 ips speed with ease of integration and mission-critical reliability. 170Xi4: Zebra’s high-performance, compliance-labeling solution, the 170Xi4 is ideal for AIAG, ODETTE, and UCC/EAN-128 labeling on demand or in batches. Zebra’s announced via Twitter that it will be unveiling the Zebra Xi4 high performance label printer at PACK EXPO in Las Vegas next week. Little about the Xi4 series has been publicly announced, but it is expected to carry on the high-performance characteristics of Zebra’s rugged, reliable all-metal 110XiIIIPlus, 140XiIIIPlus, 170XiIIIPlus and 220XiIIIPlus printers. The company needed to establish a labeling program, and many of DePuy’s distributors and hospitals were implementing automated receiving systems, which required inventory to be bar coded when it reached their receiving docks. The system, consisting of 20 on-demand label printers from Zebra Technologies, allowed DePuy to minimize manual data entry, reduce shipping errors, and eliminate the need for costly preprinted forms. DePuy installed several Zebra® high-performance thermal transfer bar code printers. On-demand labeling delivers great savings in forms costs by eliminating the need for preprinted forms. Many organizations apply bar coding to improve internal operations, while others adopt the technology to comply with customer or regulatory labeling requirements. That’s how bar codes came to DePuy Orthepaedics, Inc., an international manufacturer known for its orthopedic products. Implementing bar coding turned out to be a blessing in disguise for DePuy–-they are expecting a $100,000 savings in forms costs alone when all facilities have been converted to the new technology. During the 1980s, DePuy embarked on a plan to widen its distribution channels. Management realized that for the expansion to meet corporate objectives, the company needed to establish a bar code labeling program. Zebra’s best-in-class Z Series printers just got better! These rugged, price-competitive metal printers built their reputation as the price-performance leaders by propelling productivity with 10 inches/second print speed and quick throughput, and offering a multitude of optional features. Now, not only do they zoom, they really flex — with even more options to support most warehouse, manufacturing, and business applications — to integrate easily with any network — and to contain your investment costs while ensuring future upgradeability. Better connected to your applications, with built-in RFID Ready capabilities and print resolution up to 600 dpi (for precise, high-density bar codes, text, and graphics). Our XML-enabled printing option, available soon on the new ZM400 and ZM600 printers, will allow easy integration with ERP applications. Better connected to your network, with a variety of modern options: USB 2.0, secure 802.11b/g wireless, and 10/100 Ethernet. Better connected to your needs, with easy setup using the large LCD, easy media loading, and easy-to-change and -maintain printhead and platen. For optimal printing quality and proper printer performance across our product line, Zebra strongly recommends the use of genuine Zebra™ supplies as part of the total solution. Specifically, the ZM400 and ZM600 are designed to work only with genuine Zebra™ printheads, thus maximizing safety and print quality. The SATO GLe is a new, fast, high-performance option in the SATO line of industrial printers. It is an alternative to the Sato CLe and Sato M84Pro. It is available in standard and RFID versions. The base model lists for $1695.